Before you even launch or create a business in Canada, you want, of course, to collect the right information about your own business and the business environment in Canada in order to then decide to go ahead and develop a plan and a business strategy in Canada. Information about your company: The better we understand your company the better we will guide you to allow you to make the best investment decision. We collect the information needed after understanding your business well. This is done by a few meetings and visits with you and your management team. The information gathered will be analyzed and used in view of several aspects such as: your business experience, objectives to starting a business in Canada, your personal goals, your investment capital and other elements. Then you will make a decision, you will develop the objectives to reach and the manner in which to achieve these objectives will be based on a plan or business strategy in Canada on how to create a company, which will lead you to success with projects in Canada. Information on Canada: So, before you even get to develop the ideal business strategy in Canada, buy a business in Canada or create a company, which relies on good local updated information, you will want to use a team of people with practical experience such as Construction Daniel Dargis Inc. that will give you an accurate picture of the realities on the ground from the point of view of taxation, laws of construction, prices of land and buildings of the market, construction costs, how to do the work, ways to save on financing and construction methods, how about starting a business in Canada, demand by region, methods of marketing and sales, and many other elements to help you develop a business strategy in Canada. There are several points to keep in mind to establish a good business strategy in Canada in the field of construction, real-estate and renewable energy projects. Creating research centers to help local businesses to be more efficient. All these points will play in favor of business people who want to do business and immigrate to Canada. To innovate, create, commit, invest and build a business are for an immigrant investor among the goals to achieve to help his case in immigration. Finding projects and contracts to generate income. 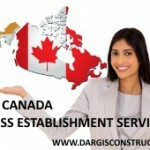 Construction Daniel Dargis Inc. is the solution to help you settle by starting a business in Canada.